Faux suede skirted bikini available in sizes S-2X. Swimsuit by Ujena, a USA based company! Gorgeous! You will definitely get noticed in this 2 piece skirted retro bathing suit bikini. BRAND NEW. 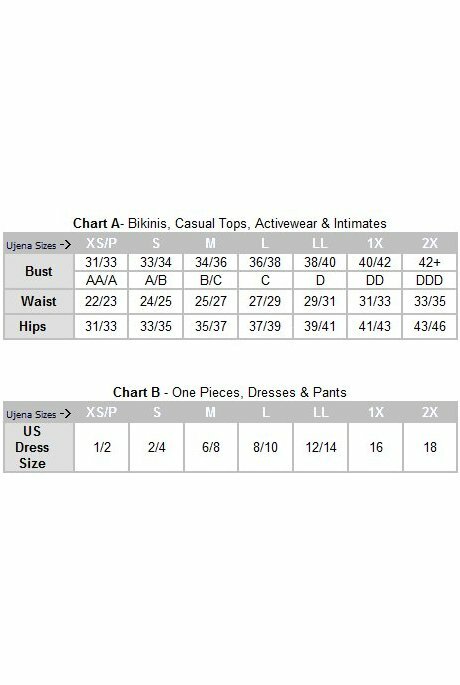 Tops and bottoms are available in individual custom swimsuit top and bottom sizing, for a perfect fit everytime!